Tagline- A Family Comedy Without the Family. 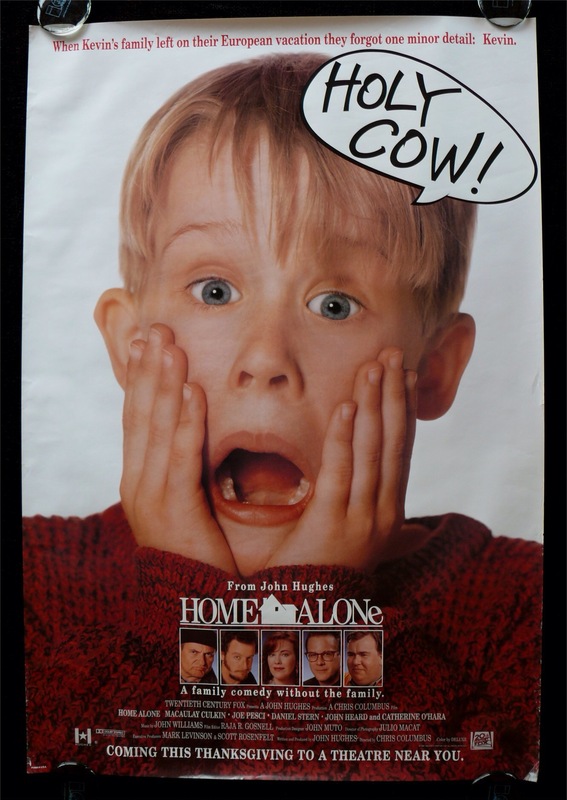 Released in 1990 Home Alone would become one of the most popular comedies of the 90s and spawn sequels and even video games. 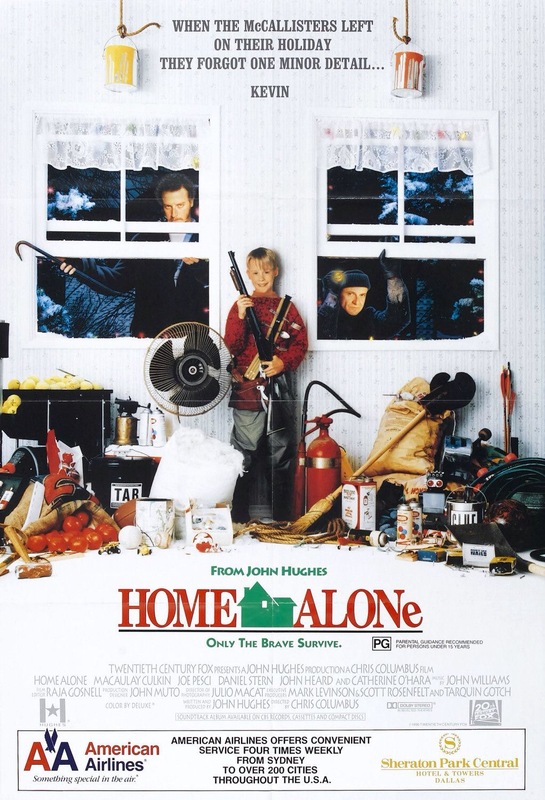 I remember seeing Home Alone when it was released theatrically and I was 11-years old at the time and while a couple of years older than the main character it was still something I could connect with and I also even remember having the video games as well. 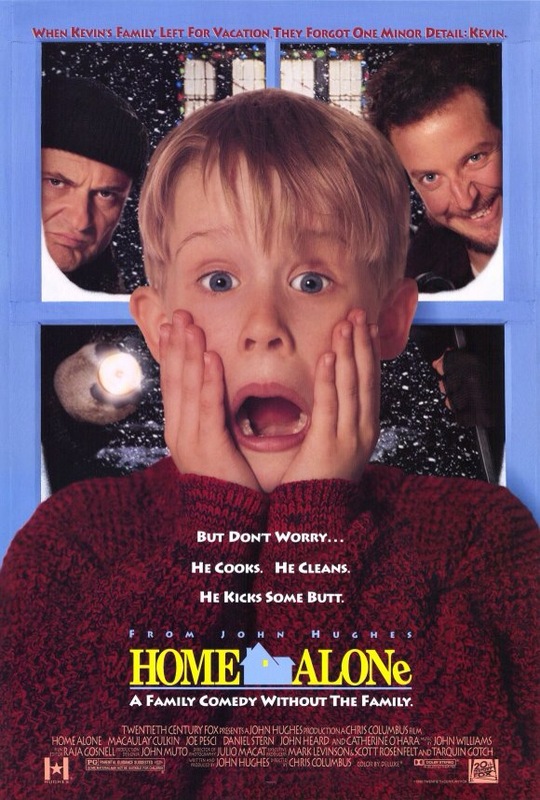 As a kid Home Alone was easily one of my favorite comedies and I think every child kind of had that fantasy of being alone and battling monsters or this case burglars. 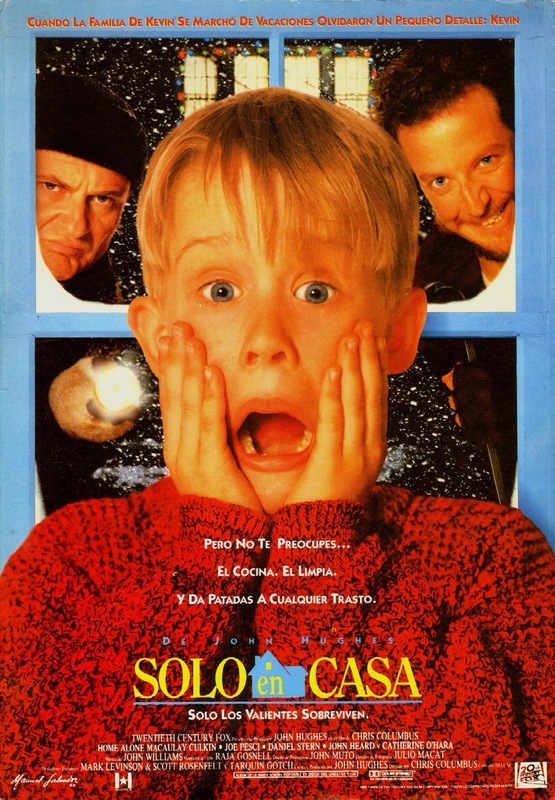 Home Alone may not be as epic as it was in 1990, but its a film that actually stands the test of time and still makes for a really fun time no matter how old you are. The McCallister family are heading to France over Chrustmas vacation and with a late start in the morning they rush to the airport and everything goes smoothly that is until they realize they forgot one minor detail. 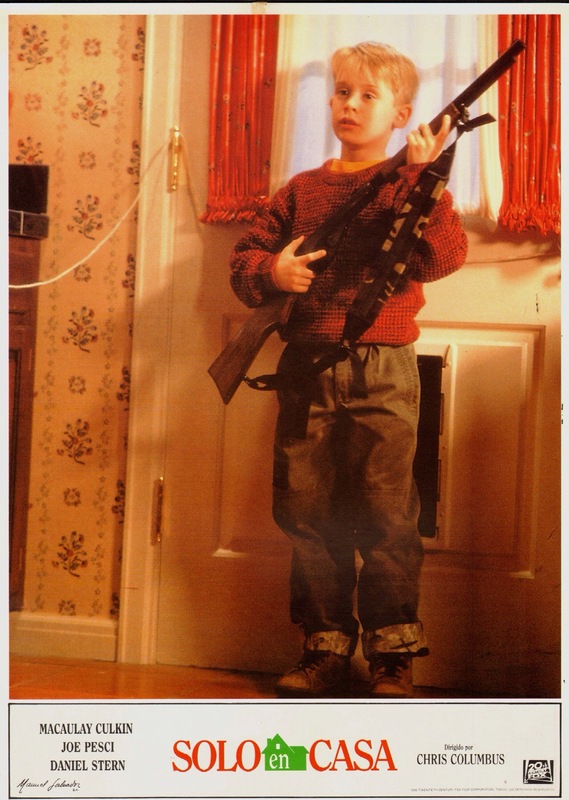 8-year old Kevin (Culkin). 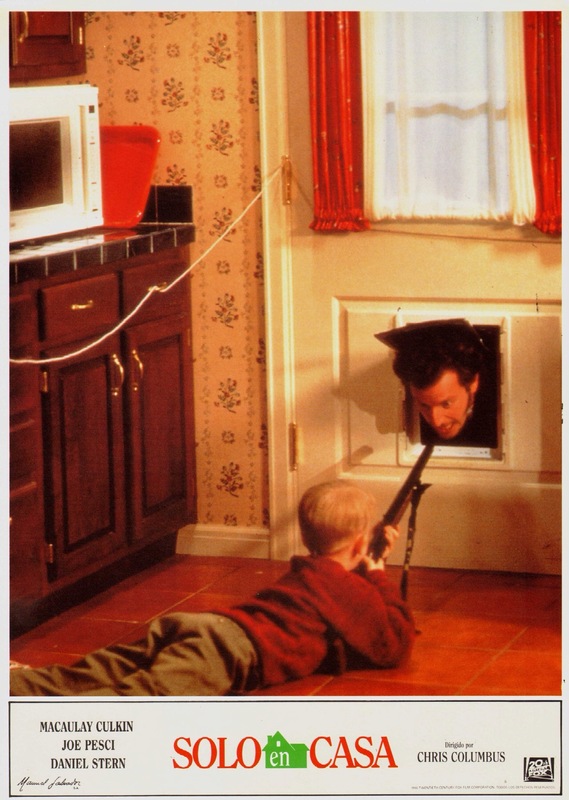 Now home alone Kevin must defend his house from two bungling thieves. The screenplay was written by John Hughes and at this stage of his career he kept all the trademarks that helped make him such a great writer, but he was also going in a different direction as well. While he’s best known for his teen driven films such as Sixteen Candles, the Breakfast Club and Ferris Bueller’s Day Off all, which he also directed, but starting with Plains, Trains & Automobiles he began to move away from teen films and by the 90s he was writing more family themed films. Uncle Buck in 1989 can also be seen as the transition to family themed comedies, but Home Alone is the one that really kicked it off. The script by Hughes is terrific and heartfelt and nobody can write characters like John Hughes. What makes the characters in a John Hughes film so great is they feel like real people. They aren’t perfect and are flawed, which makes them so believable. 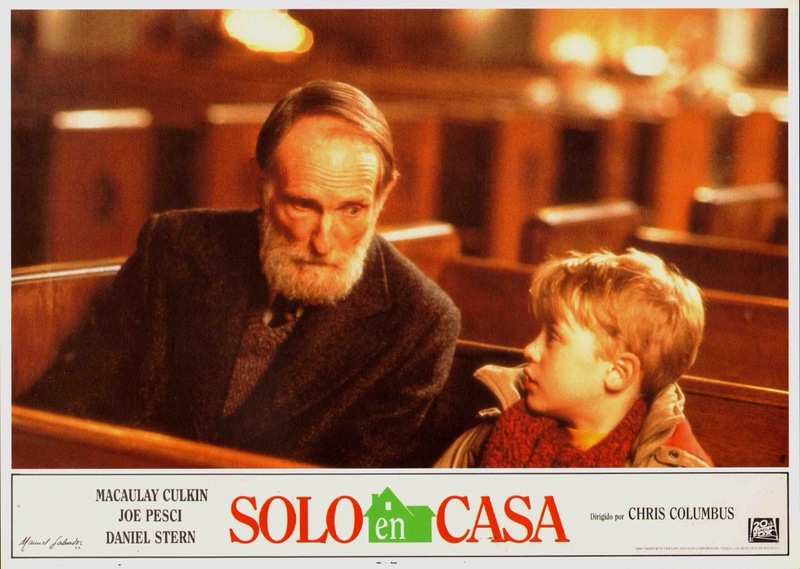 A lot of films where a child is the main character might be great for children, but can be torture for adults, but no matter how old you are Home Alone can still be enjoyable as you’re bound to find one character to relate to. Sure the script can be silly at times, but Hughes knew how to balance silly from absurd where its too far over the top. In my opinion while Hughes would still write some solid films in the 90s such as Dutch and Career Opportunities, but times were changing and with the emergence of writer/directors like Kevin Smith the new era was upon us and Hughes would stick with family friendly films for the most part with Dennis the Menace and 101 Dalmatians and by the late 90s would basically retire with only a couple of credits here and there. While certain themes may have changed Home Alone has everything that made John Hughes such an iconic writer. Characters are great and there’s always that lesson learned by the characters in the end. Another thing Hughes was masterful at was mixing comedy and drama so well and that’s very much on display here as Home Alone is both funny and touching. natural flow and even the more over the top scenes fit in perfectly and work well where it doesn’t seem silly. The final act is quite hysterical and even all these years later I probably laughed just as much as when I was a child. The cast is excellent and in general children in films tend to get on my nerves even when I was a child. 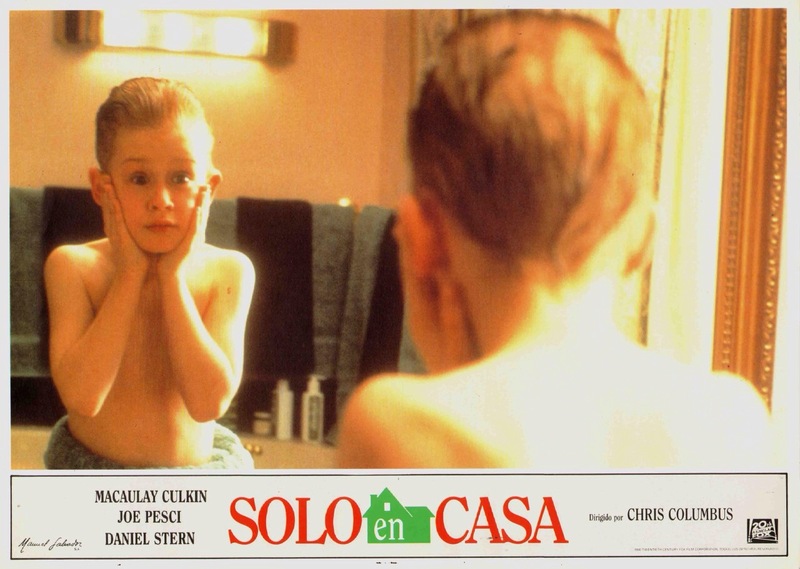 But Macaulay Culkin is actually quite terrific and even though he was very young at the time he does a great job in carrying the film. Joe Pesci as Harry and Daniel Stern as Marv the bonehead thieves are a laugh riot and for me at least Home Alone works best when they’re onscreen as these are two truly great actors that aren’t afraid to be silly and really sell the final act. And the scene when Kevin puts the tarantula on Marv’s face and that scream he lets out puts me in tears laughing so hard. John Candy one of the truly great actors of his time has a bit, but highly memorable role and since Candy’s passing in 1994 comedy hasn’t been the same. 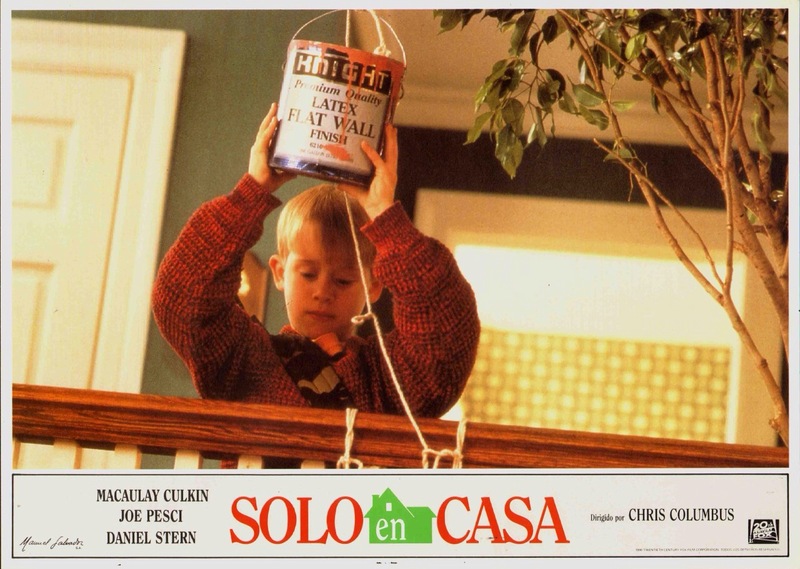 Overall Home Alone is a wonderfully funny and heartfelt film that only John Hughes could write. In my opinion Home Alone is essential christmas viewing or should I say simply essential viewing anytime of the year.